I have made it absolutely no secret how much I love Target. LOVE. LOVE. L.O.V.E. Okay this list could go on and on. Yes, I love Target. Now I have another point of infatuation with my beloved Target. I am infatuated with their Cartwheel App. Have you heard of it? Have you downloaded it? Do you use it? Well, you should my friends. This app will rock your world. I mean, I know you are already shopping at Target, so you might as well save some dollars as you do and use the Cartwheel App. Let me give you the down low on Target's Cartwheel App, you know, since I am a Cartwheel wizard now. 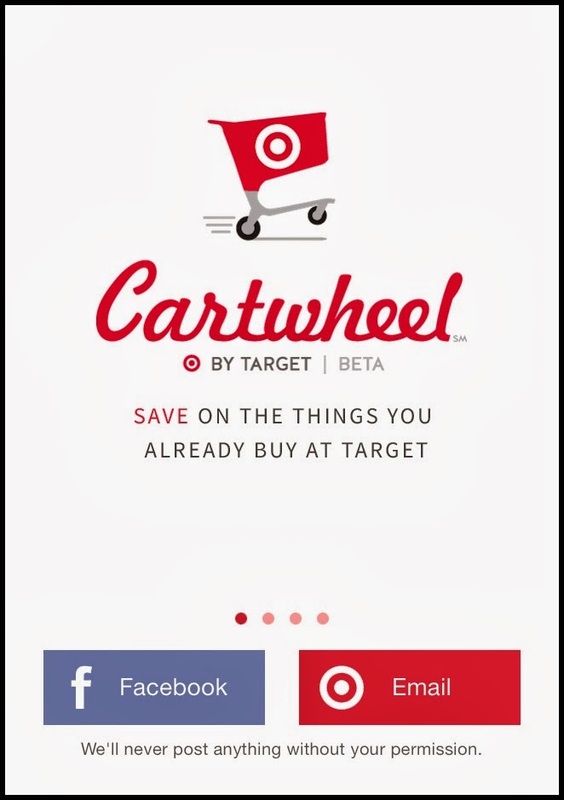 Target's Cartwheel App can can be used on your desktop, tablet, mobile web or iPhone and Droid apps. You can sign into Cartwheel with either your Facebook login or your Target.com login. You can generate your own list of offers by perusing the over 700 offers/coupons available in Cartwheel and simply adding the offers you are most likely to use. You can make your lists sitting at home on your computer or you can peruse them in the car sitting in the Target parking lot. Searching is made even easier with the Cartwheel collections. 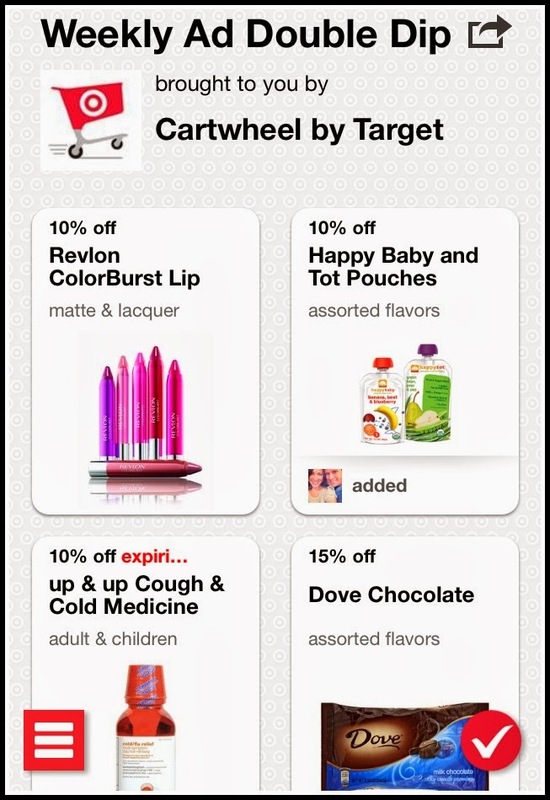 Cartwheel collections are curated lists of offers. The collections make it easy to search for offers on the go. The collections could be offers organized by holiday and seasonal, grocery, women's apparel, baby items, and many more. 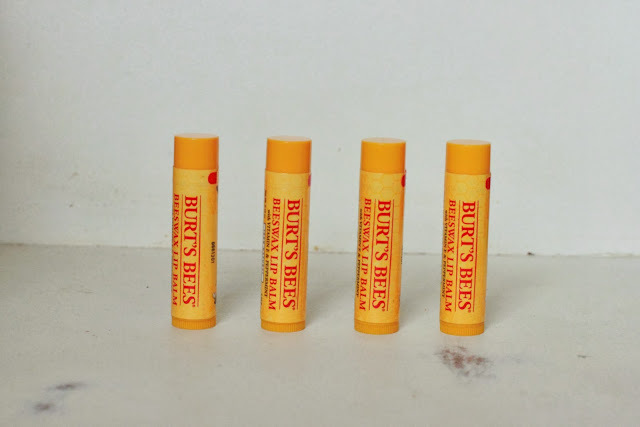 My favorite was the Weekly Ad Double Dip. 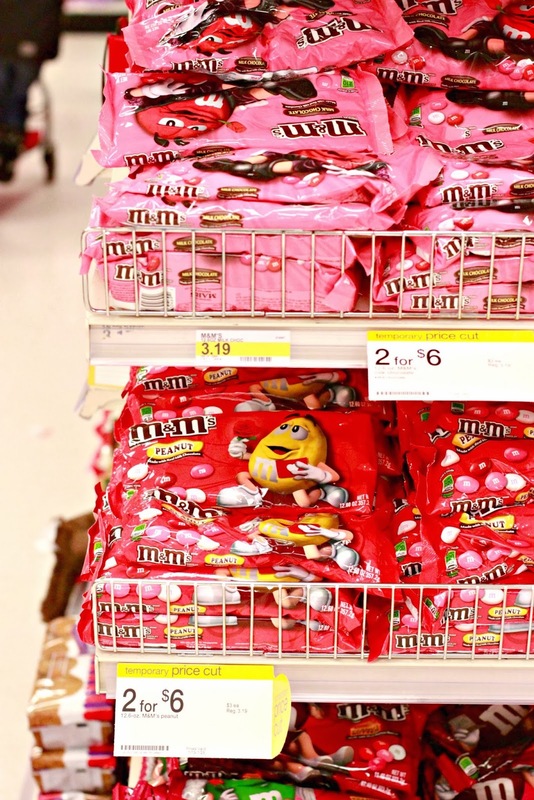 This collection organizes the Cartwheel offers that coordinated with items in the store that were part of Target's Weekly Deals. Genius I tell you! I simply looked through the list and added the offers I wanted to My Cartwheel. I kind of geeked out over the fact that I could stack offers. 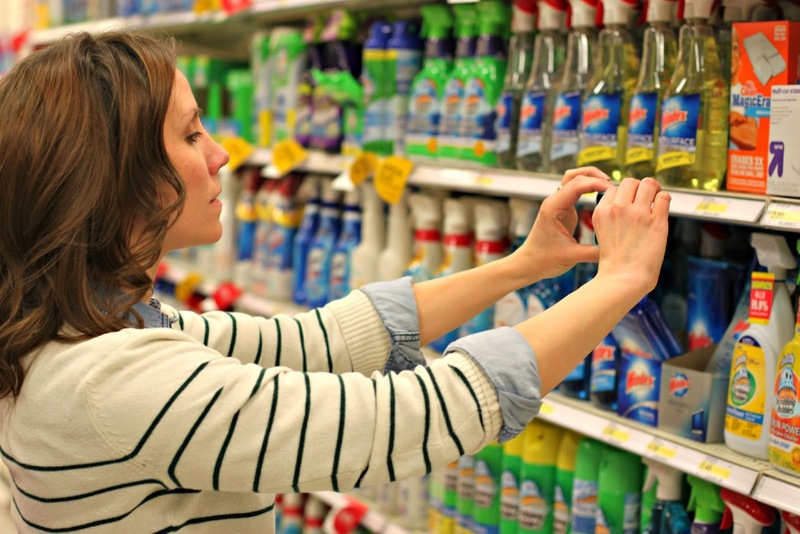 You can use the Cartwheel offers with any other Target discounts or coupons, manufacturers' coupons and your REDcard discount. That is a whole lot of saving right there. The collections are not a comprehensive list of all the offers. There are TONS of offers available and at any given time. Remember, like over 700 offers. CRAZY. One of the easy ways you can check for offers is to use your phone to scan the barcode of the item you are about to purchase and the Cartwheel App will tell you if there is an offer available for that item. Then it will add it to your generated list of offers. You simply have to go to the main menu. Then you double tap on the little bar code. Then a barcoade scanner will appear. You scan the barcode for the item in question. Then either an offer will pop up or you will get a message saying there is no offer available for that time right now. I looked pretty legit checking for offers in the cleaning aisle. So legit in fact that this cute momma of littles came up and asked me what I was doing. She knew about the Cartwheel App but didn't know about this scan feature. I spread the Cartwheel App love and now she knows! 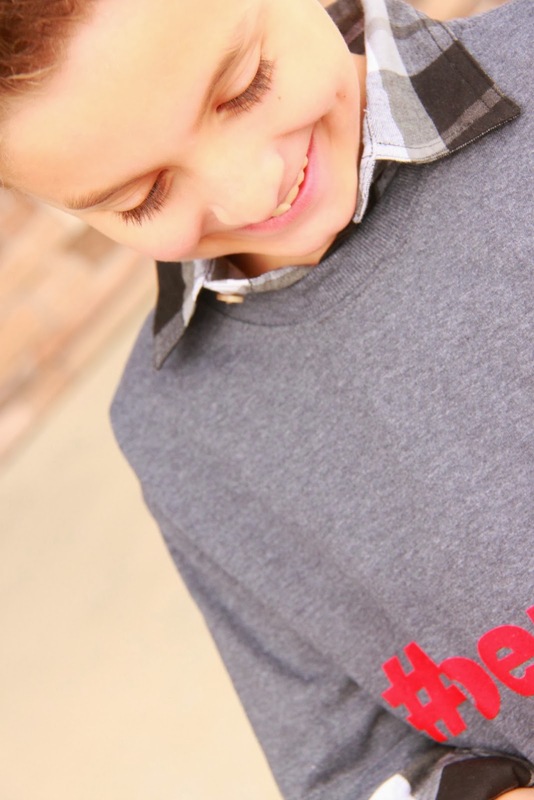 Once I had my scanned offers and the offers I had previously added to My Cartwheel, it was time to go around the store to load up my cart. I loaded up my cart with some things I didn't so much need, but wanted nonetheless. I was also able to get somethings I needed, like new bedding. See the double stacking of offers on top of sale prices? 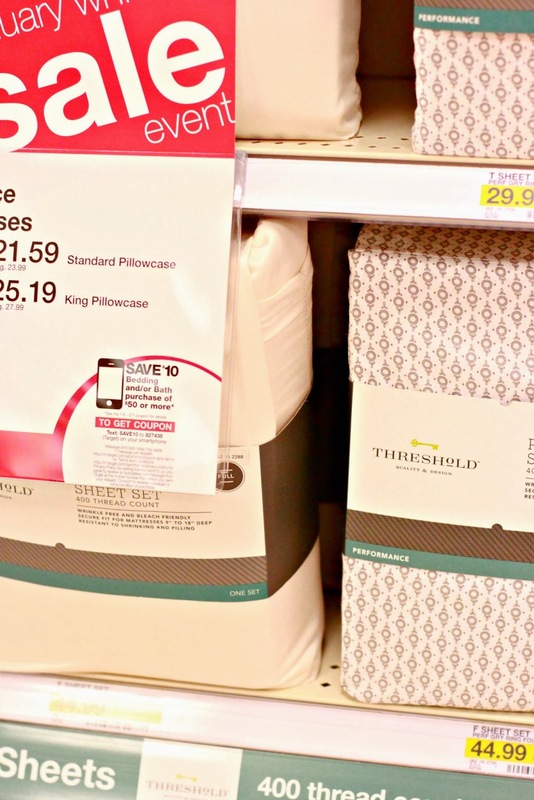 In fact, I was able to use my Threshold offer for both a new bedskirt AND new pillow cases. You are allowed to have multiple uses of offers until the offer expires. The only stipulations are that you limit 4 items per offer (I used 2... man, I should have gotten 2 more Threshold bath or bedding items), per transactions and you can use your Cartwheel offers up to 6 transactions in a day. So if you used an offer on 1 item to purchase the limit of 4 and did that transaction 6 times in 1 day, then you could have 24 of that particular item. Yeah, I'm a math genius. Eh, not so much, so if I can do it, you can do it. 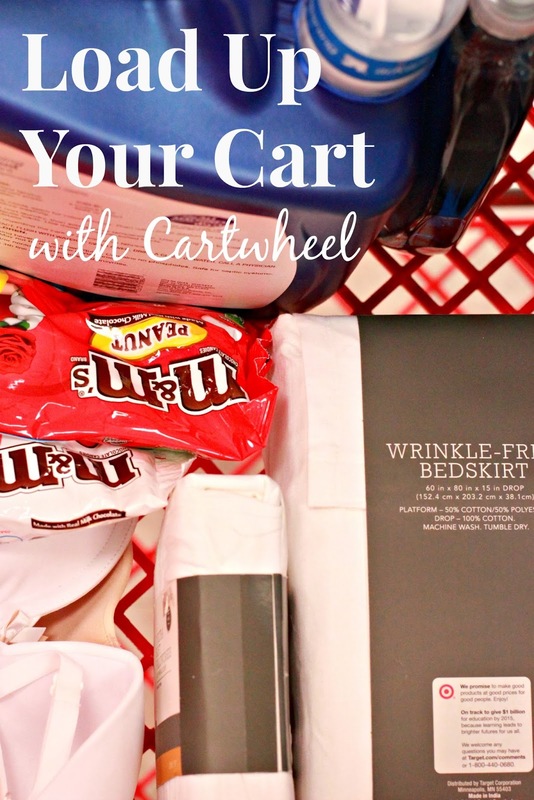 You probably don't want 24 sets of sheets, or even 4, but if you were using the Cartwheel App on bottle of Diet Coke, then this would keep your habit supplied for awhile. Once I was ready to check out, all of my offers are all compiled into one barcode. So when I was done checking out, the lovely Target employee scanned that single scan barcode and all of my discounts came right off. In this trip I purchased laundry detergent, liquid dish soap, a Threshold bed skirt, a set of Threshold king sized pillow cases, two packages of M&M's, and a bra (yeah I just okay with telling you I bought a bra). 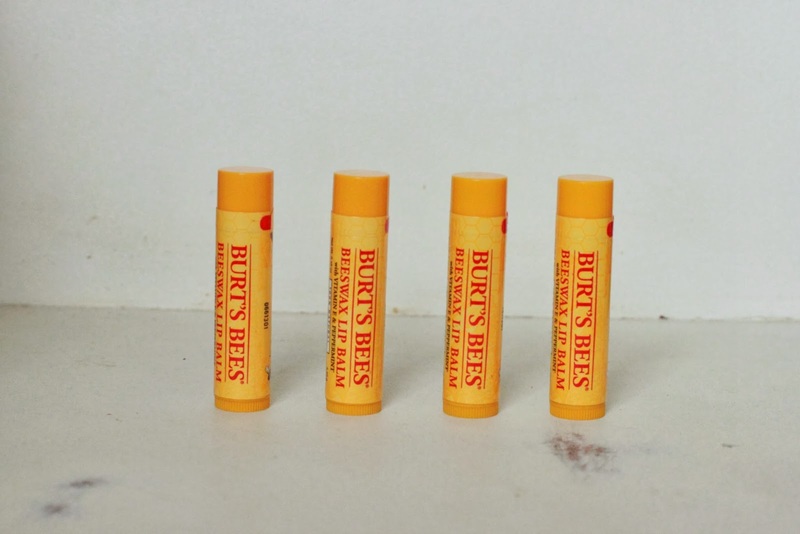 All of these things were already on sale. Then thanks to the Cartwheel App my additional savings were $15.00. They would have been even more had I had a REDcard. I am working on it people, I don't know what my excuse is. Still, 15 bones isn't bad. Thanks for letting me blather on about this amazing app. If you haven't downloaded Target's Cartwheel App yet, oh you really should. If you have downloaded it, but are unsure how it worked, now I hope you know. 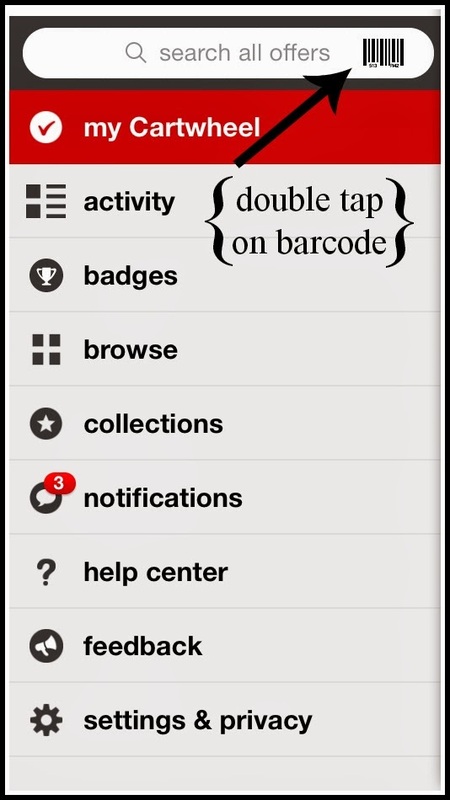 If you are a Cartwheel App wizard, thanks for letting me join your club. My certificate is in the mail, right? 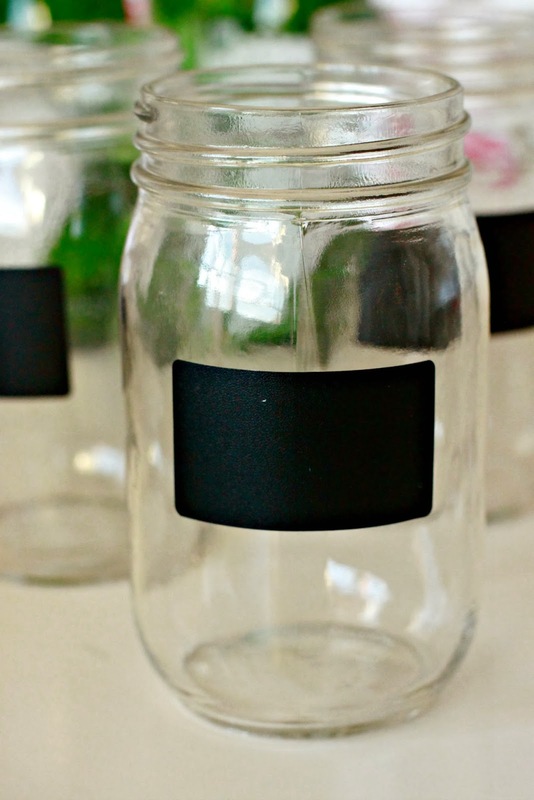 You can enter a sweepstakes to win a $1,000 Target GiftCard®. Say what?!? Best prize ever! 2. Tweet (public message) about this promotion, including exactly the following unique term in your tweet: "#SweepstakesEntry" and leave the URL to that tweet in a comment on this post. 3. Blog about this promotion, including a disclosure that you are receiving a sweepstakes entry in exchange for writing the blog post. Leave the URL to that post in the comments of this post. 4. For those with no Twitter or blog, read the official rules to learn about alternative form of entry. This giveaway is open to US Residents age 18 or older. Winner will be selected via random draw, and will be notified by email. The notification email will come directly from BlogHer via the sweeps@blogher email address. You will have 72 hours to respond, otherwise a new winner will be selected. 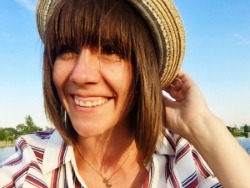 Be sure to visit the Target Cartwheel brand page on BlogHer.com where you can read other bloggers' posts! I know it is like Arctic Tundra 2014 in most parts of the US, well that includes us over here. Even with all the snow and chilliness, I still really craved a Frozen Hot Cocoa. I figured I could just put on more layers, light a fire, and turn up the heat. Then it wouldn't matter if it were below zero outside. I would still be toasty enough to treat myself to a frozen hot cocoa. 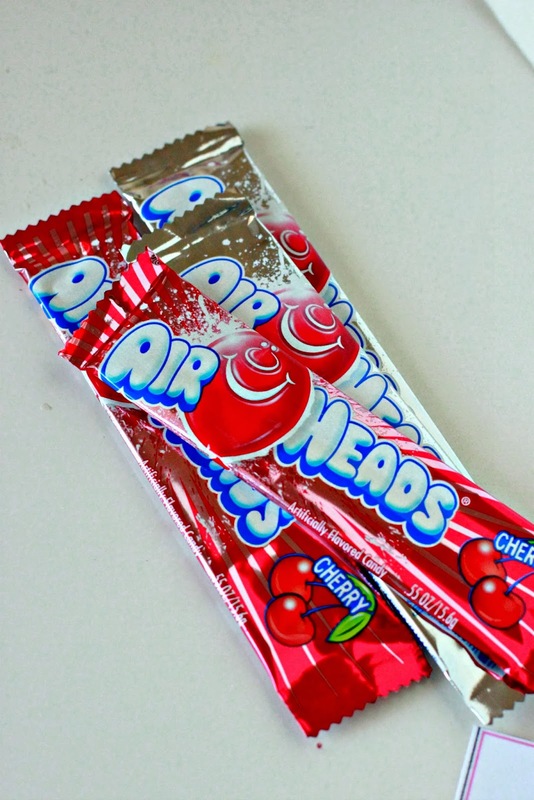 Guys, so good. I mean like SOOO good. Like Serendipity's good. Okay, so I actually have never had a Frozen Hot Cocoa from Serendipity's. Even though I have been to NYC, I was only there for 4 hours and there wasn't time to fit that in. I probably should go back there someday and have one. ...well I can't imagine it tastes any yummier than this Frozen Hot Cocoa I made in my very own kitchen, so I am good. I was skeptical how much a frozen Hot Cocoa could taste like a Hot Cocoa. Guys, IT DOES. This frozen concoction tastes just like hot cocoa. 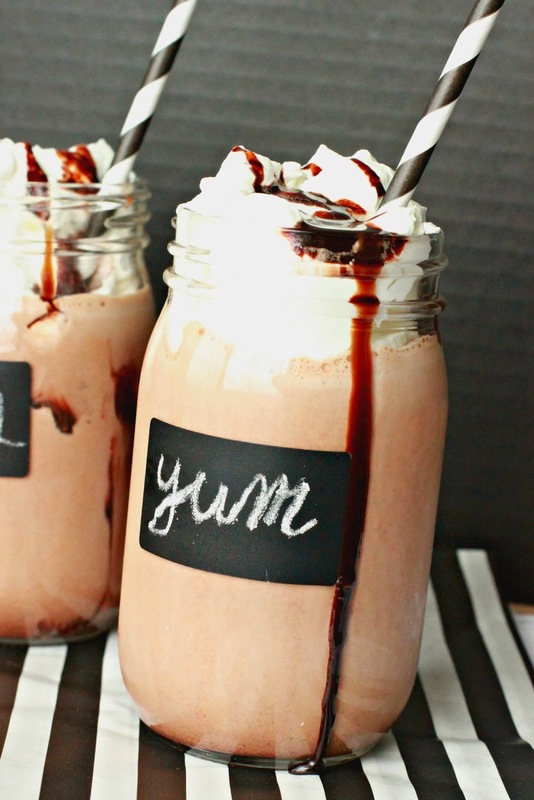 Richer, and thicker, milkshake-like hot cocoa. We very happily all slurped and sucked every drop of this Frozen Hot Cocoa down. 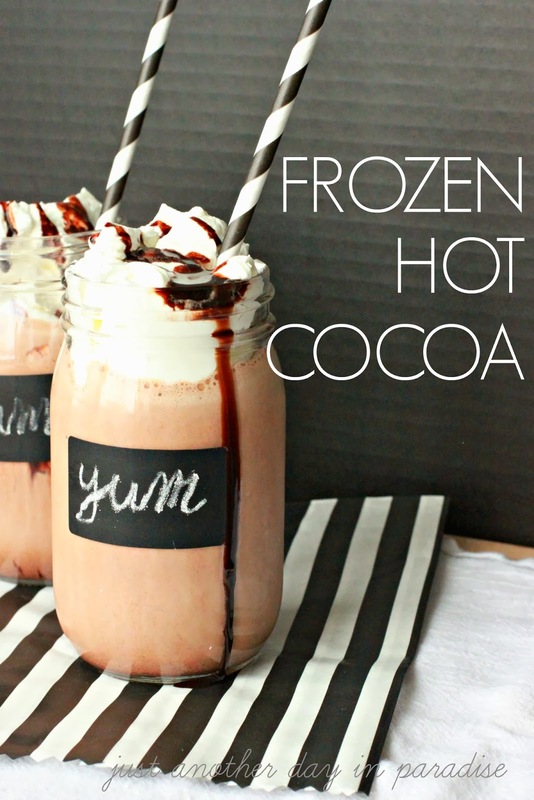 So even though it is all frozen outside, at least in most places, it is worth turning the inside of your house into a tropical get away to justify making yourself this yummy Frozen Hot Cocoa. Combine all of the ingredients in a blender. Blend until all the ingredients are completely incorporated. 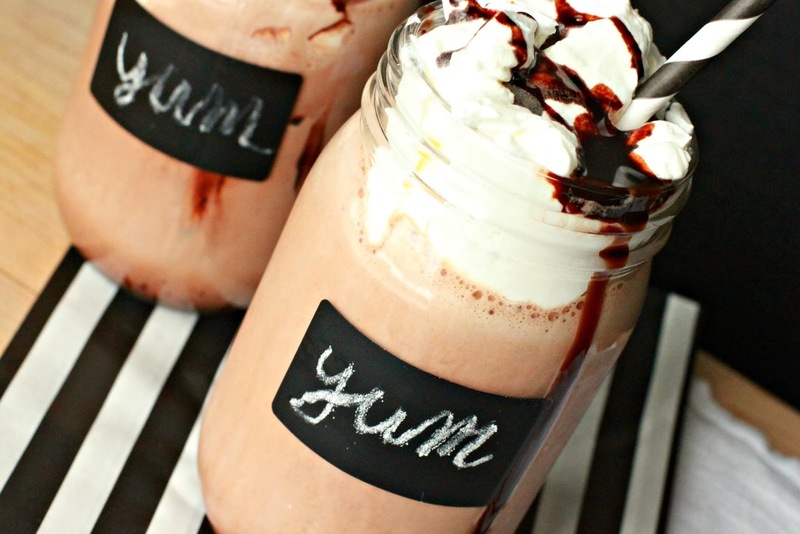 Top with whipped cream and drizzle with chocolate syrup. 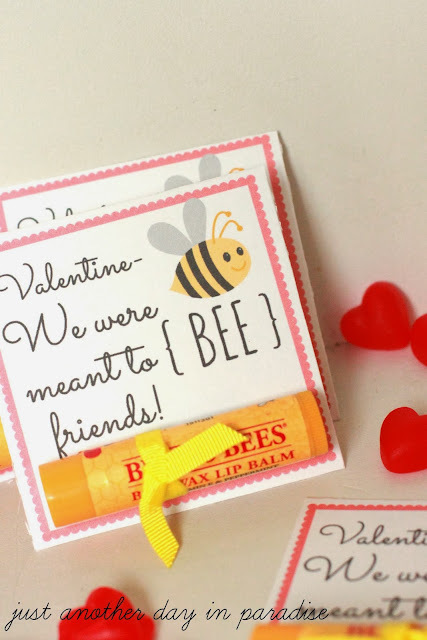 Today I am over at Skip To My Lou sharing this pretty awesome non candy classroom Valentine as part of the Print Your Own Valentines Series. 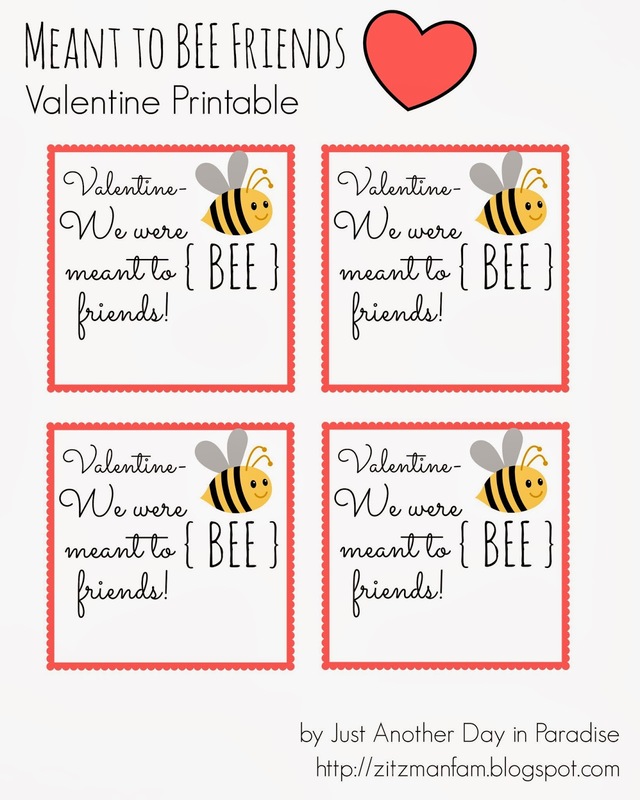 Head over to get the printable. While you are there check out the other Valentines in her series! 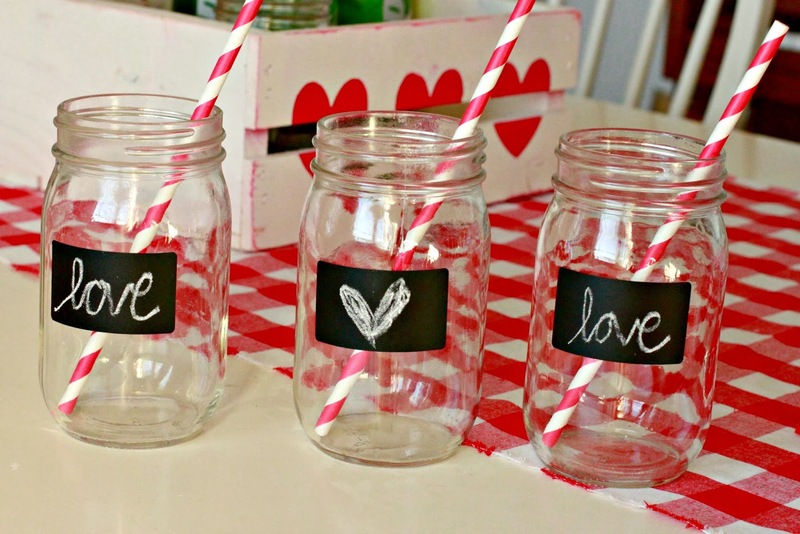 There are a lot of awesome ideas. 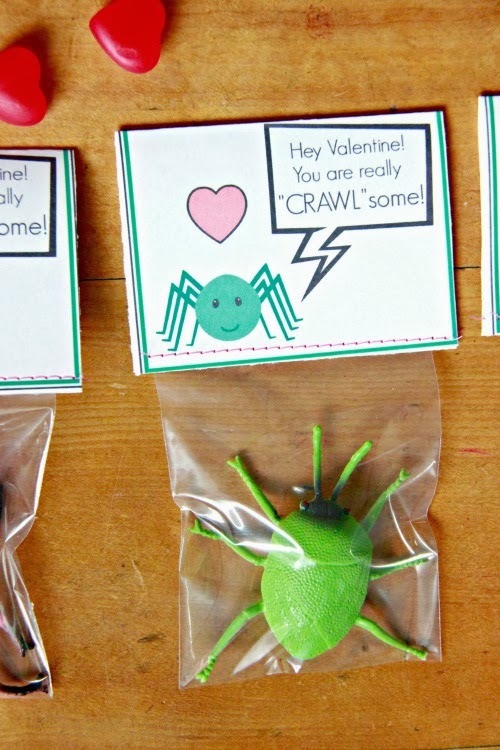 Also, make sure you come back on Friday for another Classroom Valentine Printable ideas! 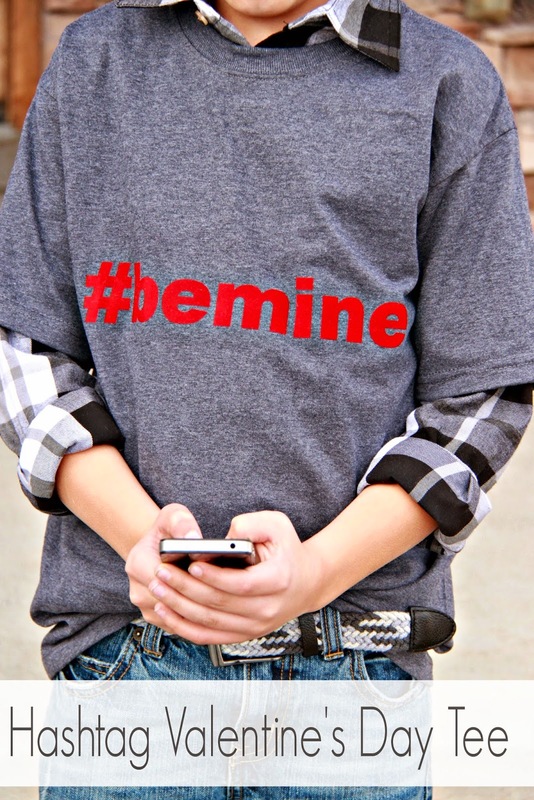 Okay, time for another installment of Valentine's Day Shirts of 2014. 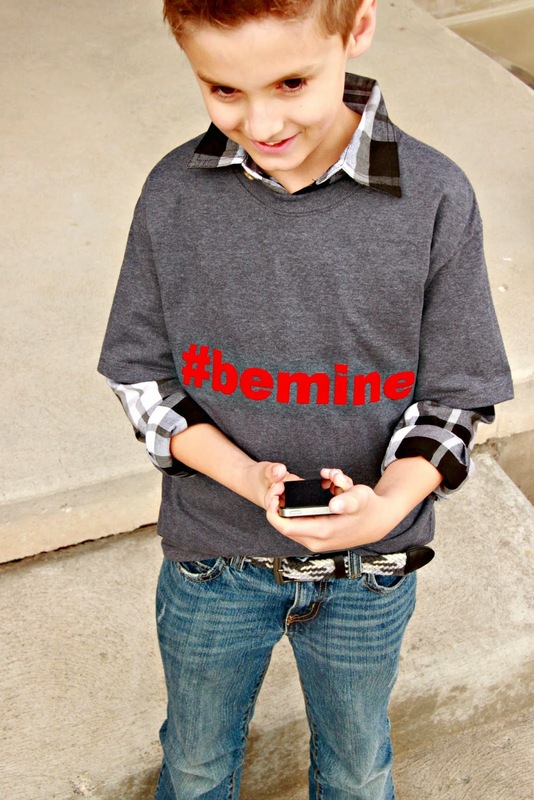 I have already shared the Hashtag Valentine's Shirt and the Be Mine Minecraft Valentine's Shirt. 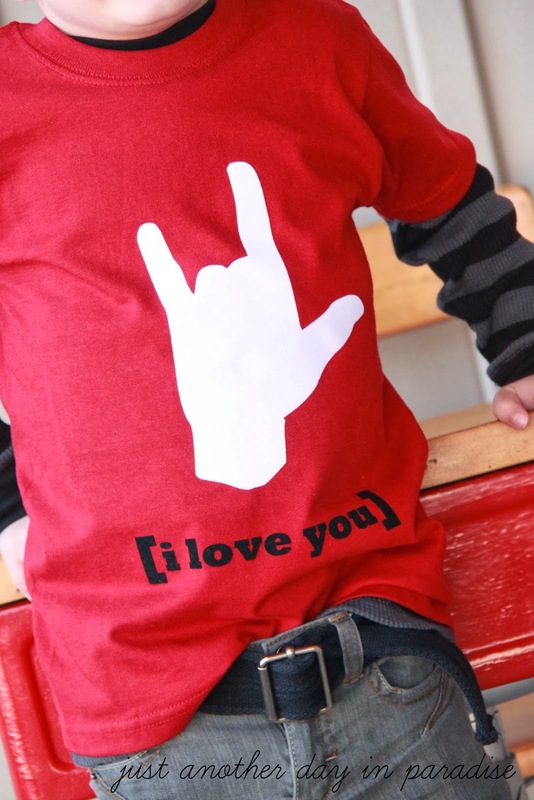 Today I am sharing this Sign Language I Love You shirt. I really kind of love it. Okay so I totally love it. This shirt reminds me of my mom. All growing up she would shoot us the sign for I Love You from across the room. All my siblings and I were accustomed to having mom send us a silent I love you. She still does it to this day. Now we are passing the token of love to another generation. When I decided I wanted to use this idea for a shirt, it was pretty easy deciding who should get the sign language shirt. This guy right here. 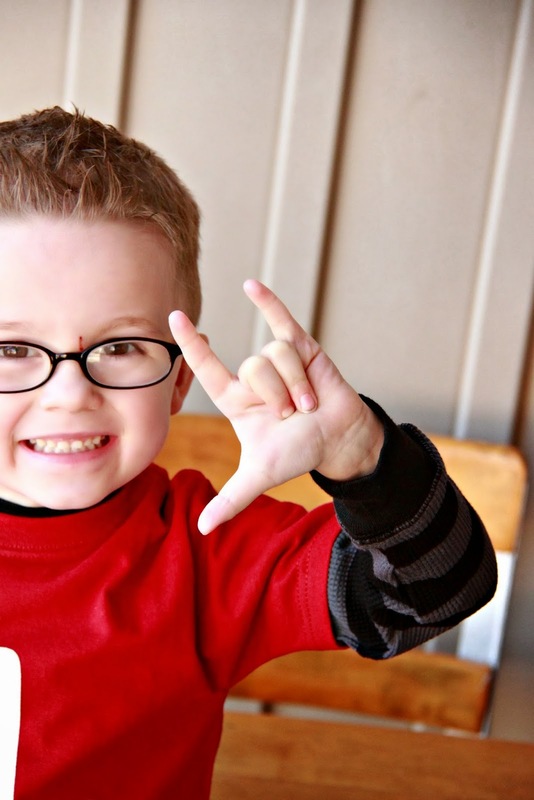 In preschool, he spends a bit of time learning sign language for certain words. He is always really excited to come home and show us what he has learned. He thought his shirt was pretty cool. 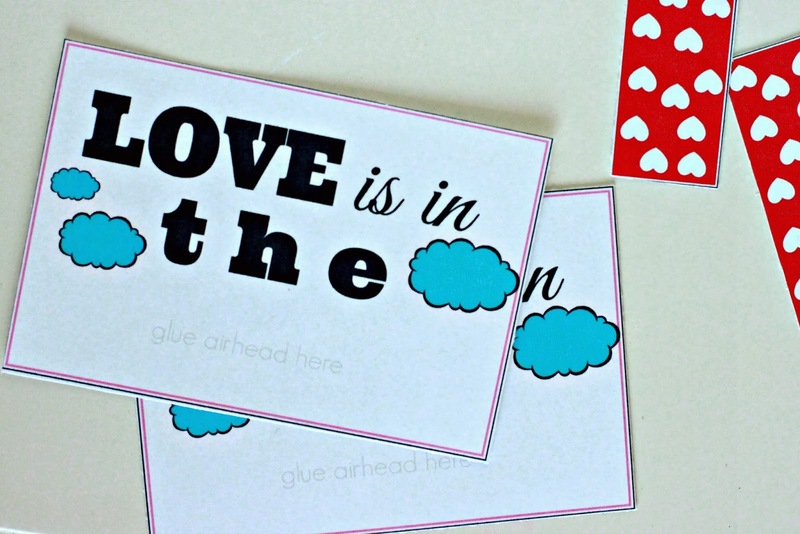 I chose to do a silhouette of the sign for I Love You. Then for design purposes...i.e. I thought it needed a little something more...I added the bracketed interpretation of the sign. For the majority of the shirts I make I used Hanes shirts bought at The Mart. I buy all of my vinyl from Expressions Vinyl. 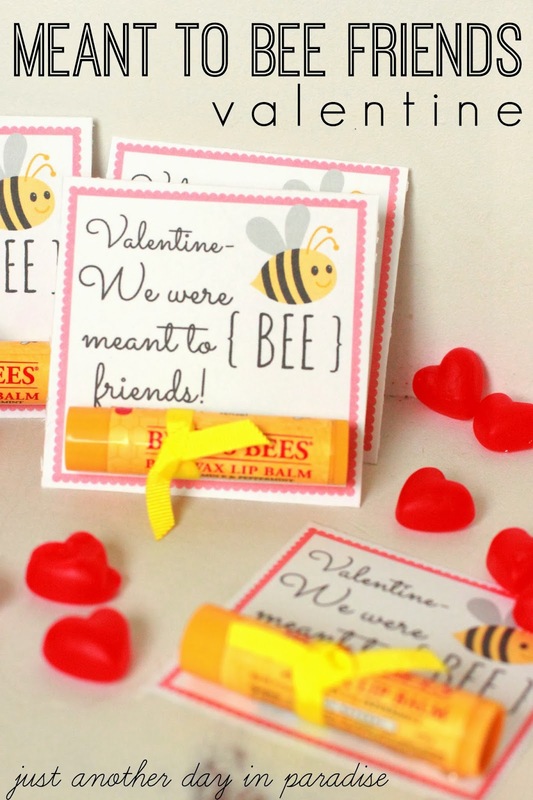 I heart that site and I have nothing but good works to say about their product and their customer service. 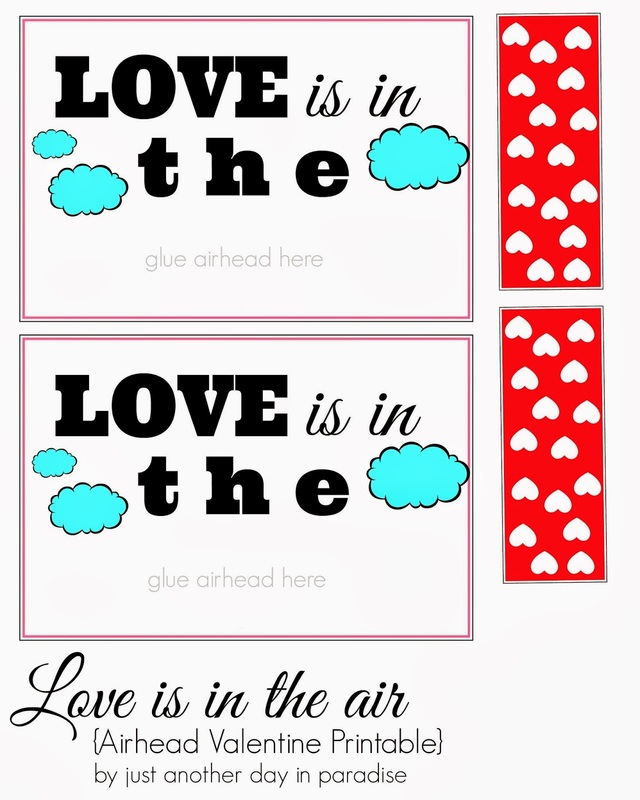 I created the design with text and clip art. Cut it out, easy peasy on my Silhouette SD (someday I will get the upgrade and go Cameo). I put it on Little. 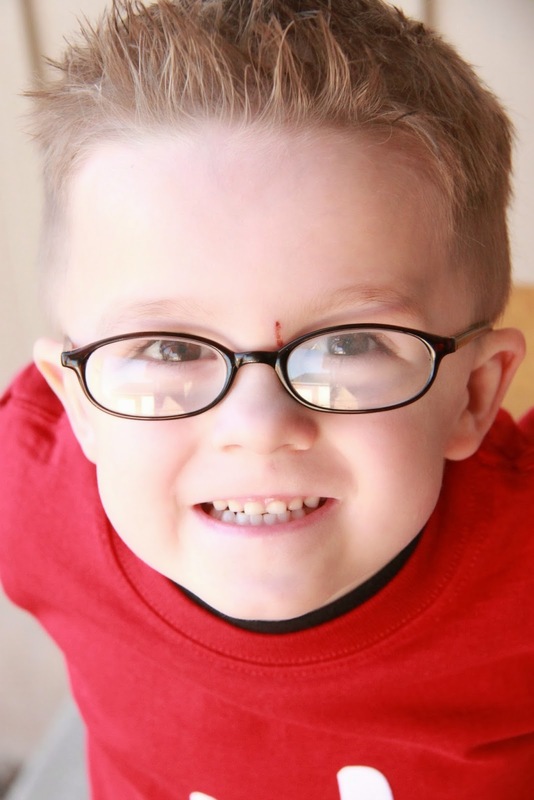 Handsome and adorable glasses-wearing Little. 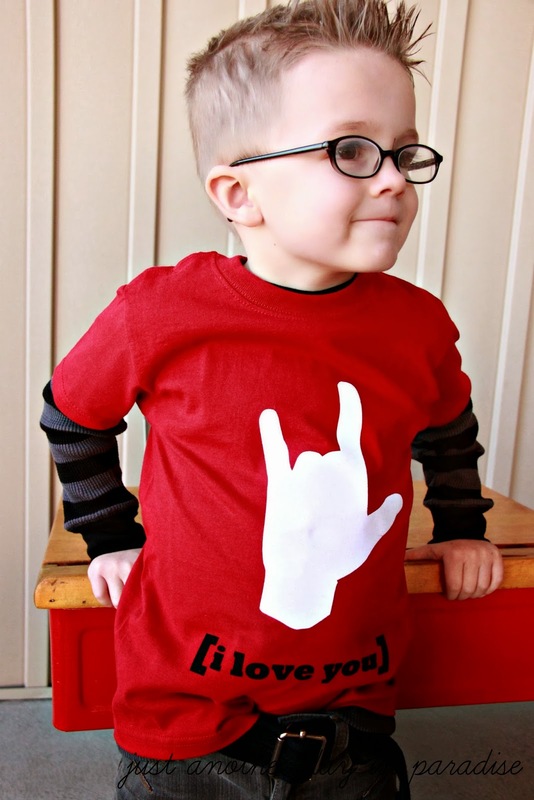 Now he is all set for Valentine's Day and ready to melt a few hearts. The other day I got the hankerin' for some root beer. So, I just said hankerin'. I felt it was appropriate to use the word hankerin' since the hankerin' was for root beer. That was like four hankerin's. That is a lot of pretending to be a cowgirl that just happened. I just couldn't help myself. I blame the root beer. 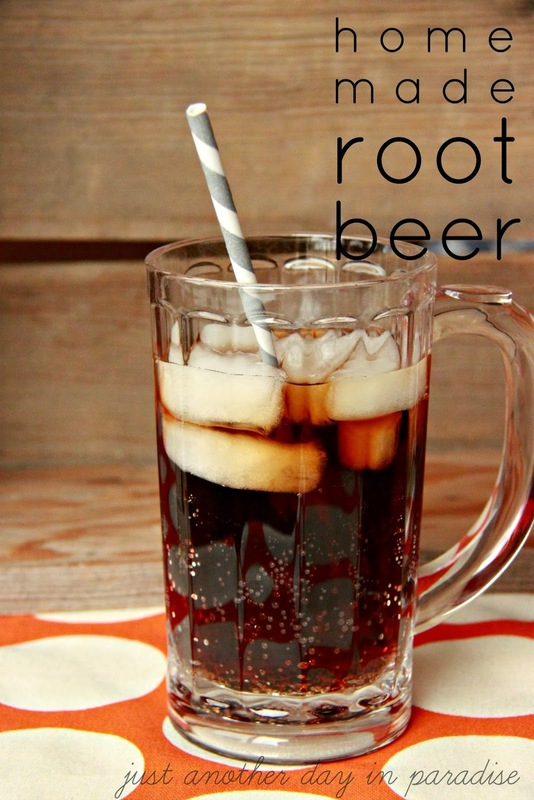 This homemade root beer is so yummy. 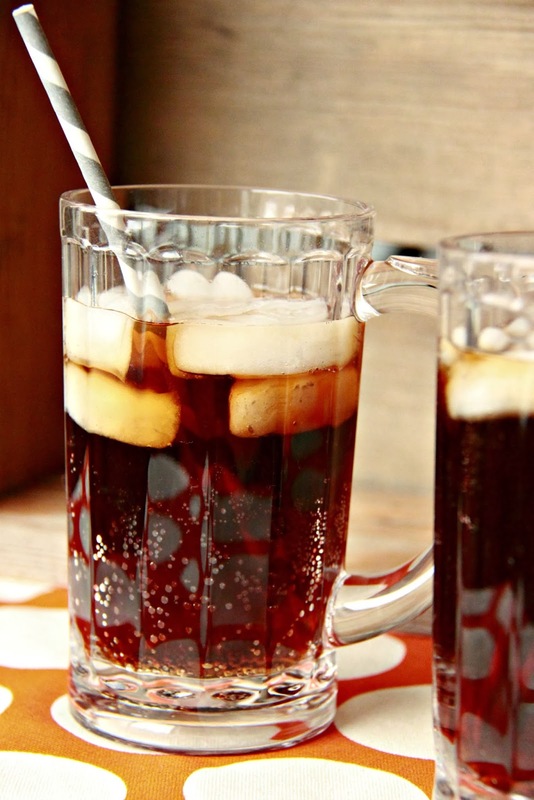 You may be questioning the need to make homemade root beer when it is so easy to pick up a 2 liter at the grocery store. Well, first, how cool is it to say you made your own root beer. It is pretty cool. Now I know, because now I can say I have made my own root beer. I do feel pretty cool. Second, it is insanely easy and tastes so very yummy. My Little Men thought it was pretty awesome that we made our own root beer. They happily sucked every drop of it down. The Hubs was pretty sad he was at work when the root beer making occurred. I assured him that it was so easy we could whip him up some when he got home. I feel a new obsession coming on. 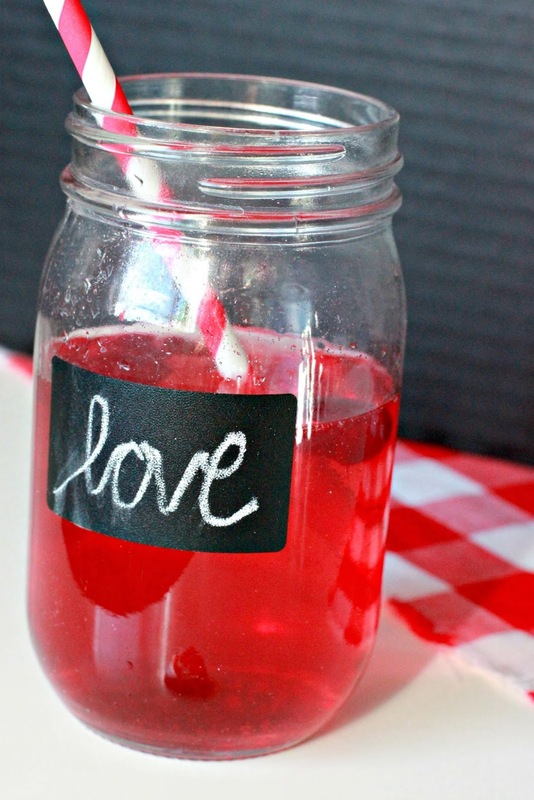 Homemade soda. Give it a try. You just might find the whole process kind of amazing. Chill the club soda. Measure boiling water. Add the sugar into the water. Whisk until the sugar is dissolved. Add in the root beer extract. Mix. 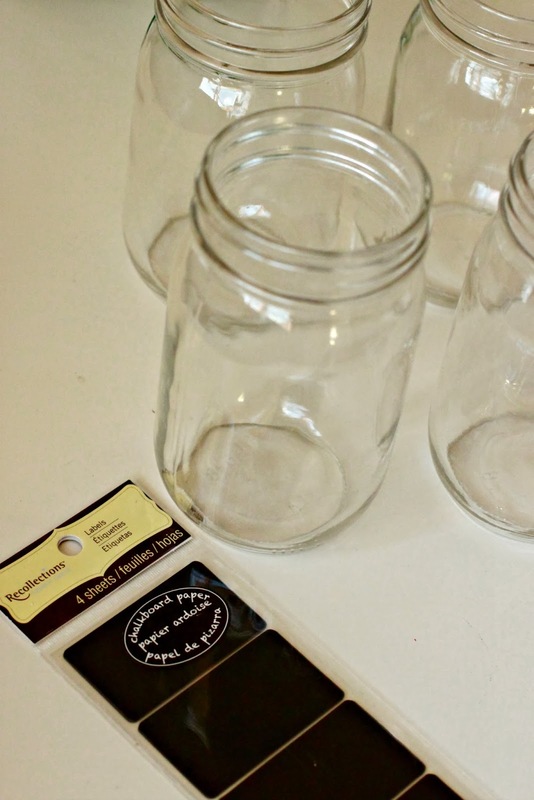 Refrigerate to cool it down, and keep it in the refrigerator until you are ready to serve. 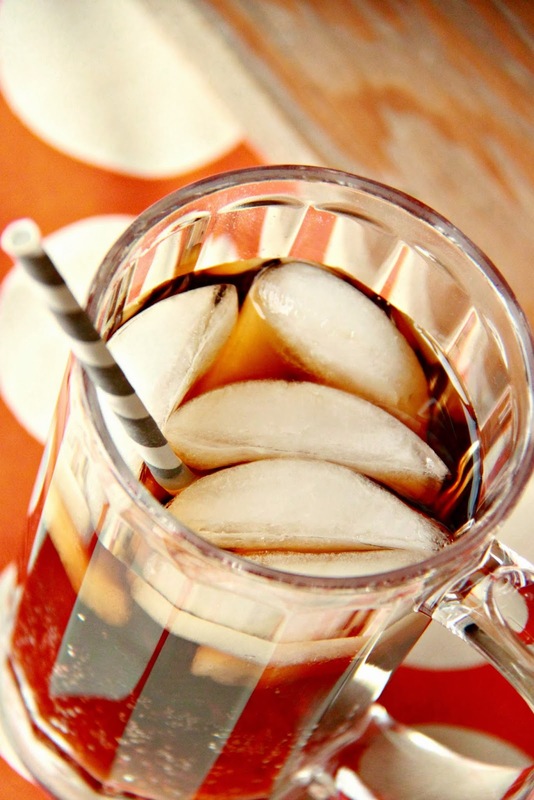 Combine the chilled club soda with the root beer mixture. Stir to mix. I hope you and your family enjoy making Homemade Root Beer as much as we did. Which we did, quite a lot. Especially this one. 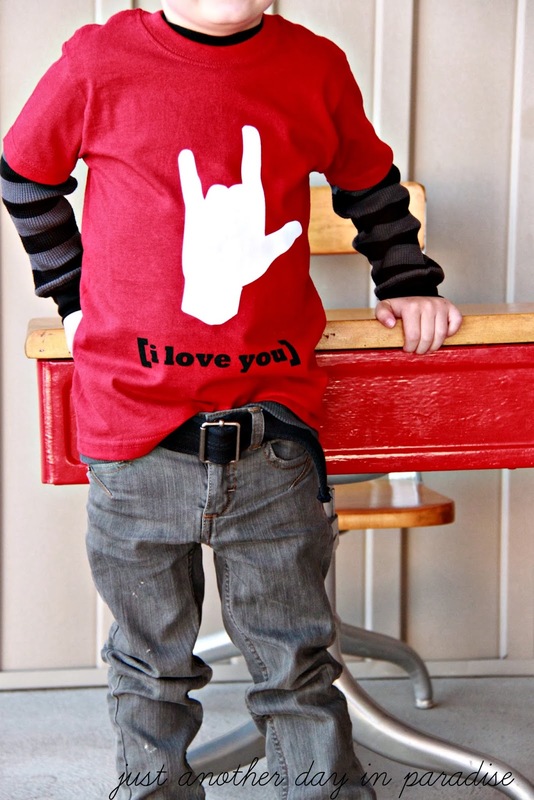 Another installment of Valentine's Day T-shirt Palooza. Woohoo! This may or may not be the "cooler" shirt Oldest wanted. 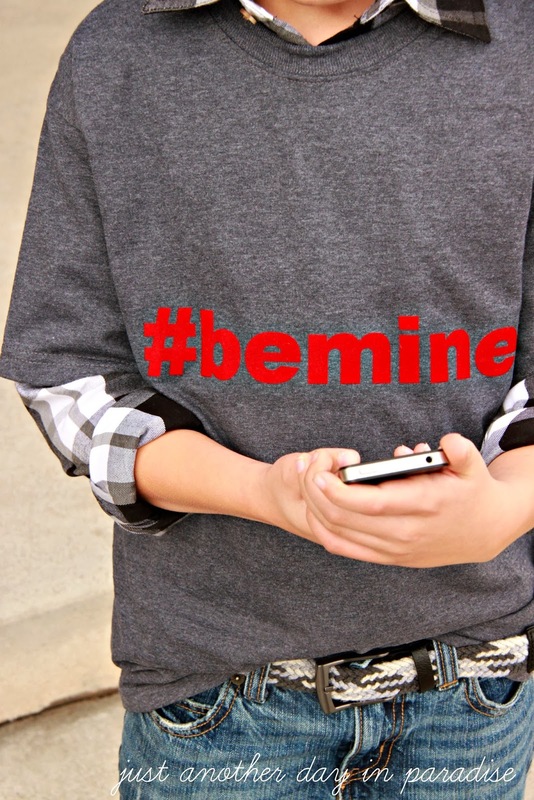 You know the one I referred to in his Hashtag Valentine's Day T-shirt. 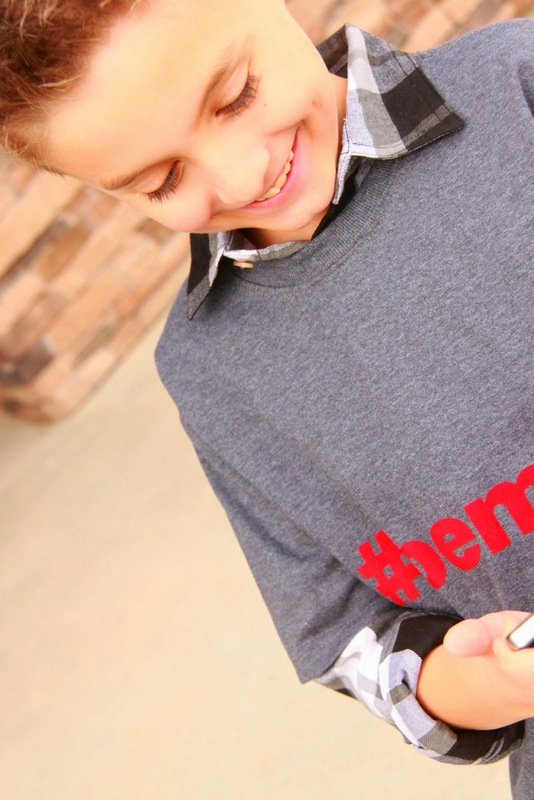 Even though I am in love with the Hashtag Shirt, I can't blame Oldest too much for being jealous of his brother's shirt. 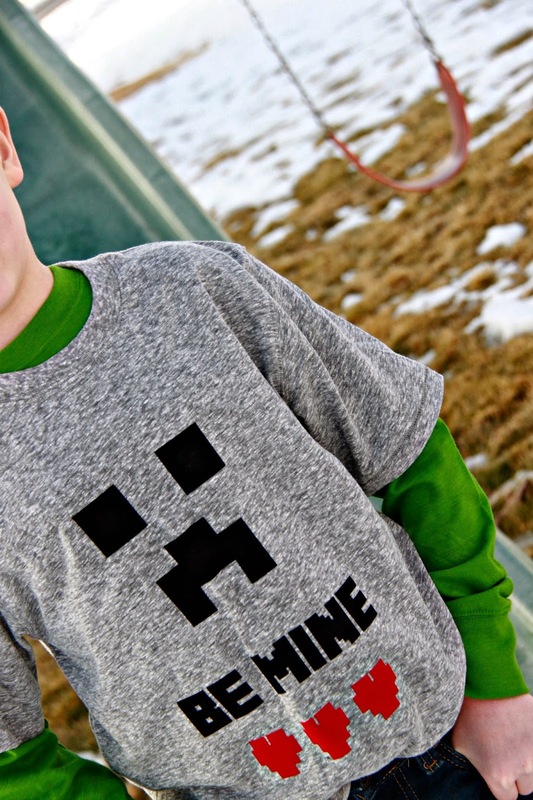 After all, what video game loving boy doesn't think Minecraft is the coolest game ever? 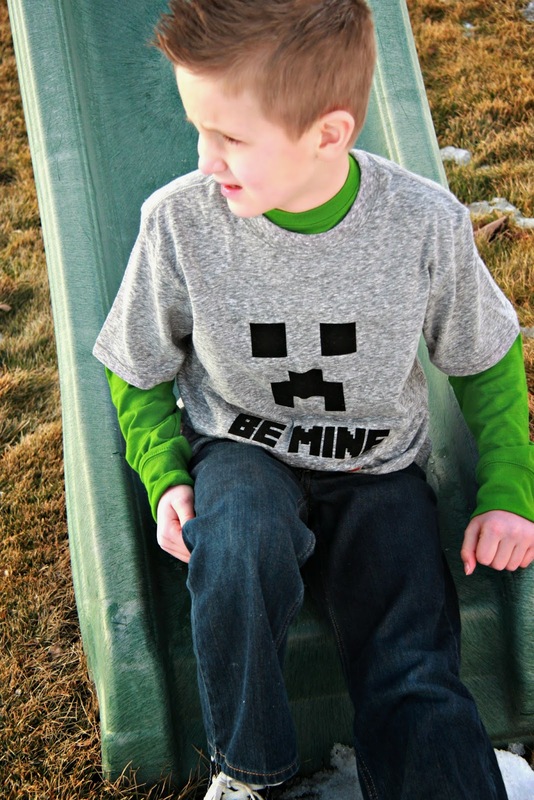 So to have a Minecraft Valentine's Day shirt is kind of the best thing ever...at least in this house. 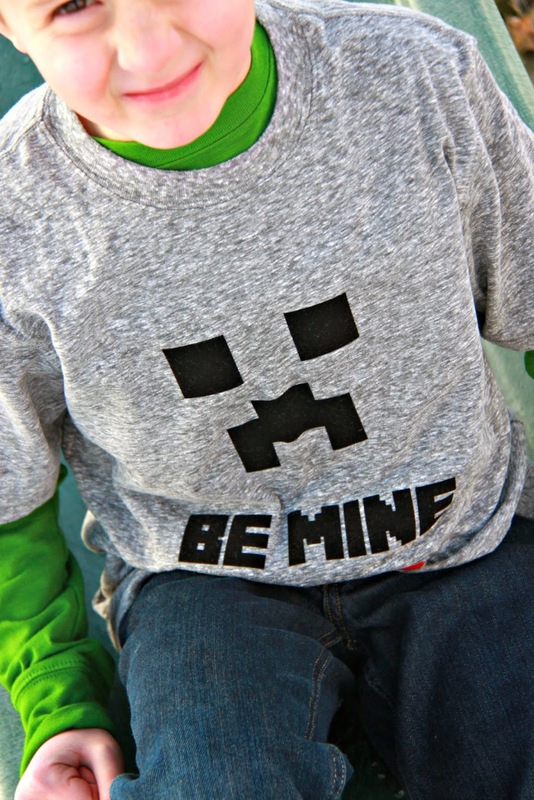 To make this shirt, I used the image I made for the Creeper T-shirt party favors for Middle's Minecraft Creeper Birthday Party a couple of months ago. 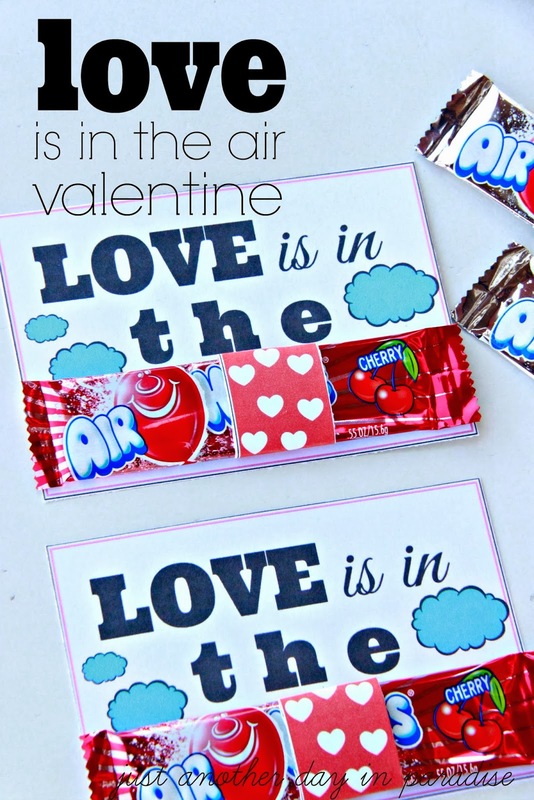 I also created an old school looking graphic heart image using PicMonkey to go along with the whole Valentine's Day theme. 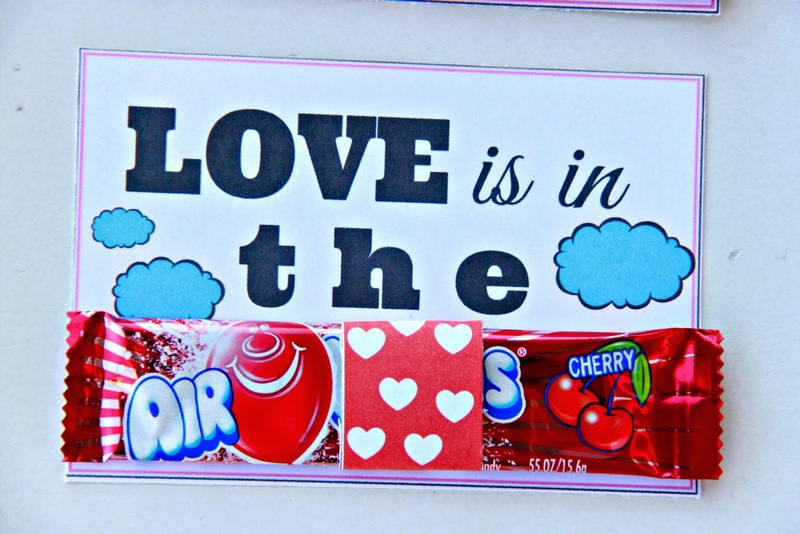 I cut the images out of red and black flocked heat transfer vinyl from Expressions Vinyl with my Silhouette. I used a soft lovely...er I mean manly...gray heather tee from Target. 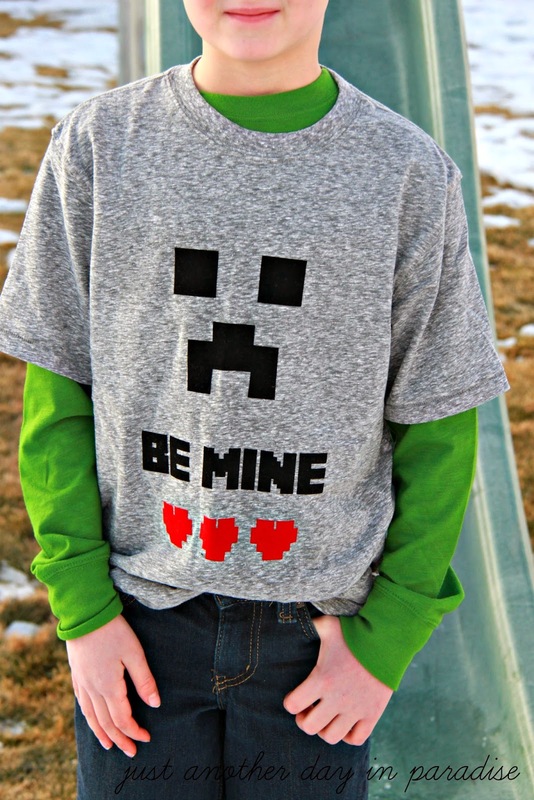 A fun boy-approved Valentine's Day T-shirt for my Minecraft lovin' Little Man. Not shocking this is the favorite t-shirt in our house right now. 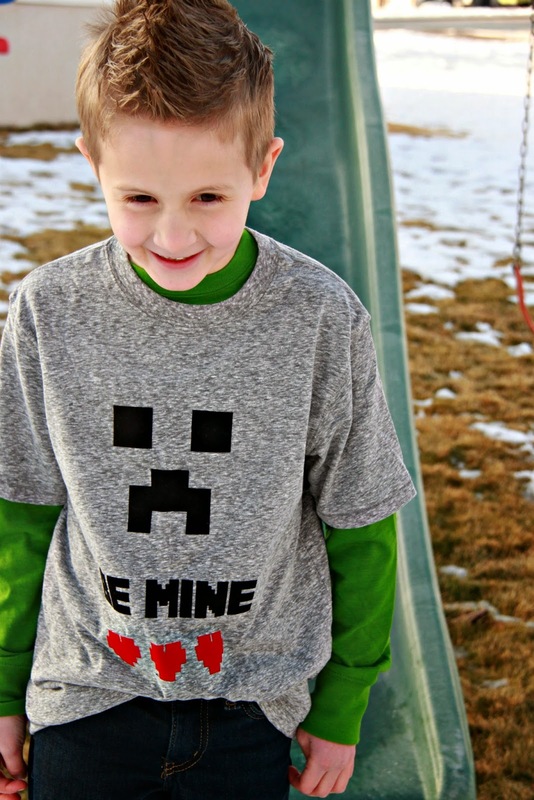 It is Minecraft mania around here I tell you. I love chicken chili. True story. I like that it is lighter than regular chili. I like that it has taco or Mexican seasonings. I like myself some lime and cumin. Yes I do. I used to have an old faithful White Chicken Chili recipe. Well, it wasn't really a recipe, it was a season packet and the instructions per that packet. Still good, just not really a recipe. 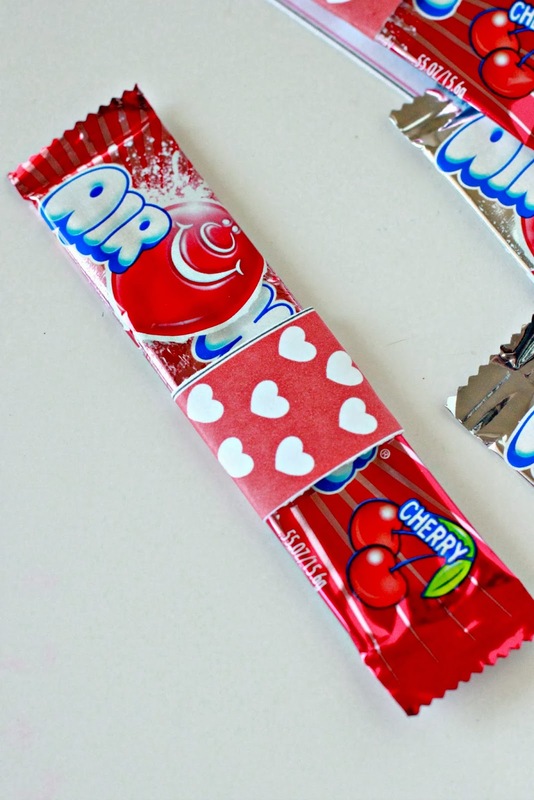 We loved it, but we haven't had it in years. Years I tell you. First, because we kind of outgrew it. Is it weird to outgrow a recipe? I hope not. I mean I hope every day that The Hubs has outgrown his boxed mac and cheese made with cream of chicken soup and peas. Thus far, he has not. I still love him. He can have his mac and cheese and peas. Another reason we haven't had it in years, the seasoning packets are not as easy to find. So White Chicken Chili left our culinary lives. So sad. So, so sad. I kind of wanted it to come back. 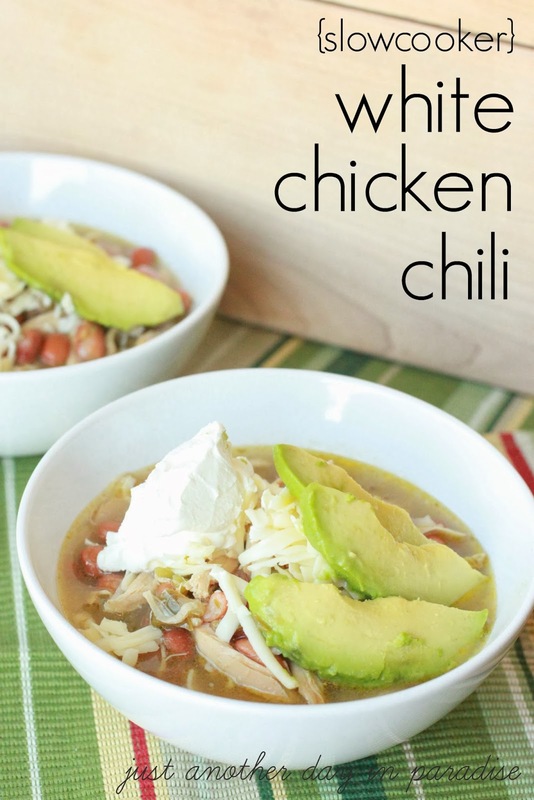 So I developed this White Chicken Chili recipe using all my favorite ingredients. 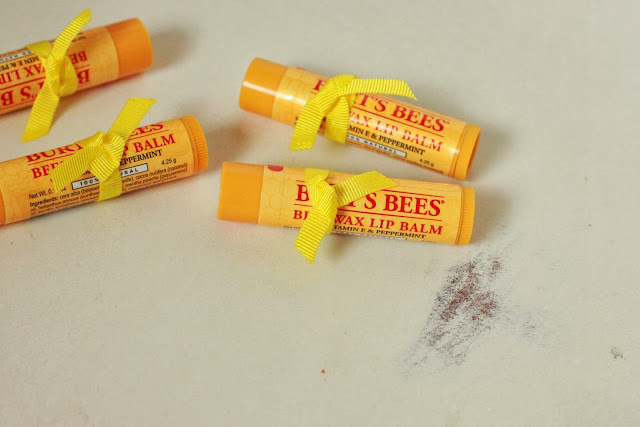 Did you catch the whole lime and cumin hint earlier? Oh White Chicken Chili, thanks for showing back up in my life. Oh and by the way, thanks for showing up in a slow cooker. You know how I love my slow cooker. I super like this chili. Super duper like. This chili is spicy, but not hot. It is full of flavor, but is not overpowering. This is a chicken chili that will warm you up on a Winter day, but is light enough for a Summer afternoon. It pairs up great with Monterrey Jack cheese (my favorite cheese by the way) and a couple slices of avocado. Since this recipe is made in a slow cooker, there is little prep to do. Especially if you use a rotisserie chicken. Then the slow cooker does the cooking and you can take a nap. Or at least wish you were taking a nap. 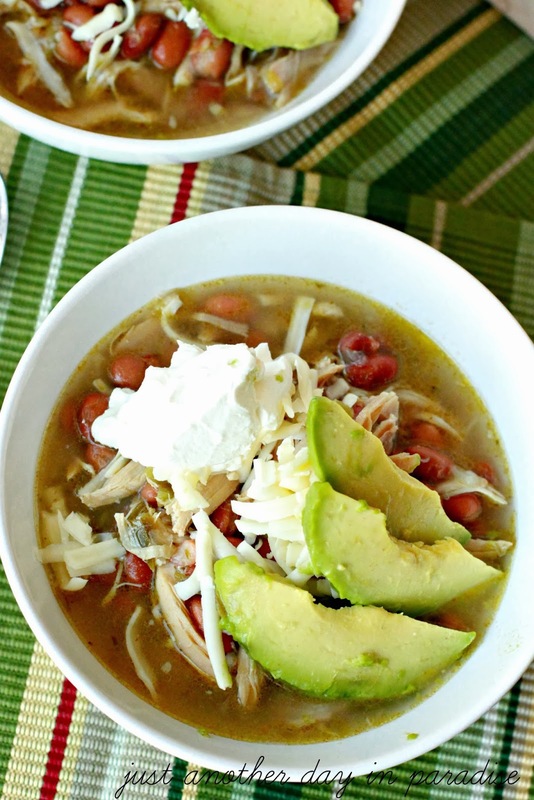 Here is another Slow Cooker Saturday with my new favorite White Chicken Chili. In a large skillet, heat up the olive oil. Add in the peppers, onion, and garlic. Stir frequently until the vegetables are tender, about 5 minutes. Add the cooked veggies, the chicken, broth, beans, ranch mix, and cayenne pepper to a slow cooker. Stir. Cook on low for 6 hours. Serve with Monterrey Jack cheese, sour cream, and avocado slices. 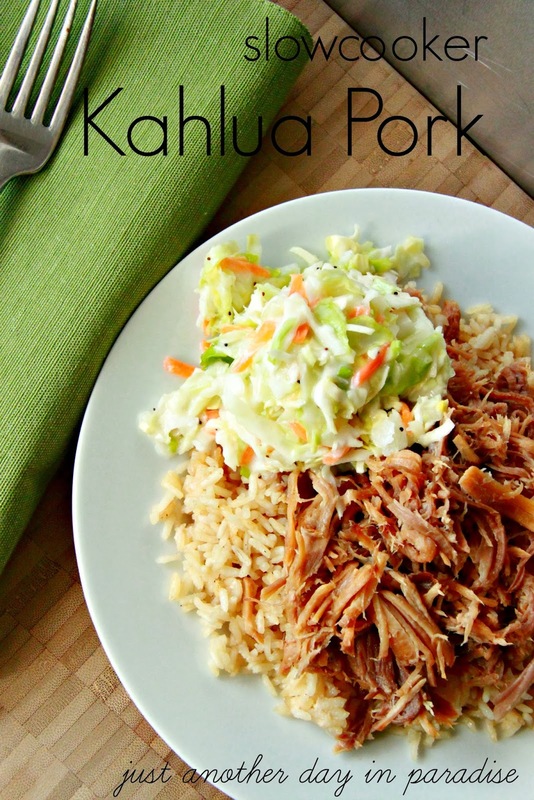 Go HERE for other Slow Cooker Recipes. When I was first married, I got asked to teach a class at church on salads. The cute girl who asked me to teach gave me a couple of salad recipes as a starting off point. 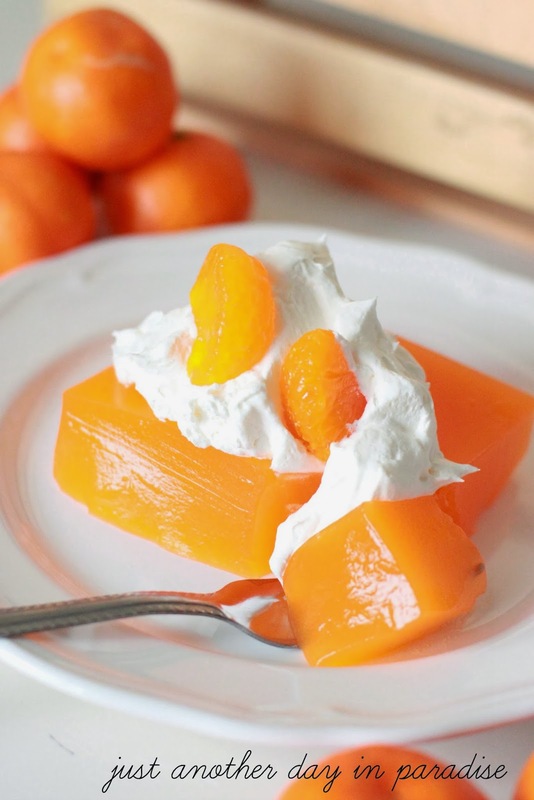 One of the salad recipes she gave me was for this Orange Dream Jello Dessert. If you are a little perplexed, thinking to yourself, "Hey you just said it was a salad demonstration! Why are you talking about this dessert?" Let me clarify, she called it a Jello Salad. However, over the years we have chosen to have this lovely little orange ditty for dessert. Hence, why we call it Orange Dream Jello Dessert. This recipe is Orangey, made of Jello, and altogether super dreamy. Not like Ryan Reynolds super dreamy (I care a great deal for the Ryans Squared), but pretty close. This dessert is super creamy, but still Jello. 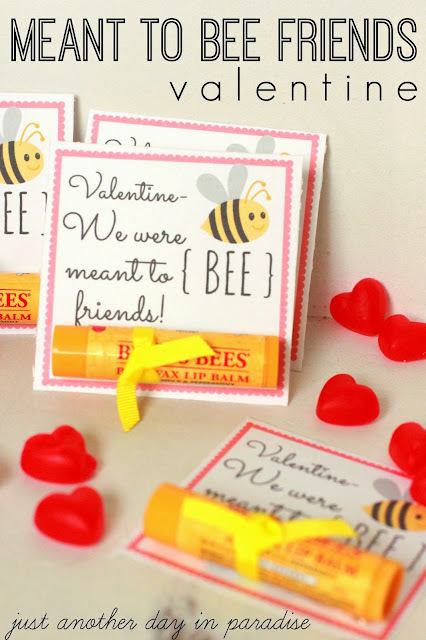 The orange flavor is divine and completely enhanced by the lemon Jello. Seriously love this Jello treat. 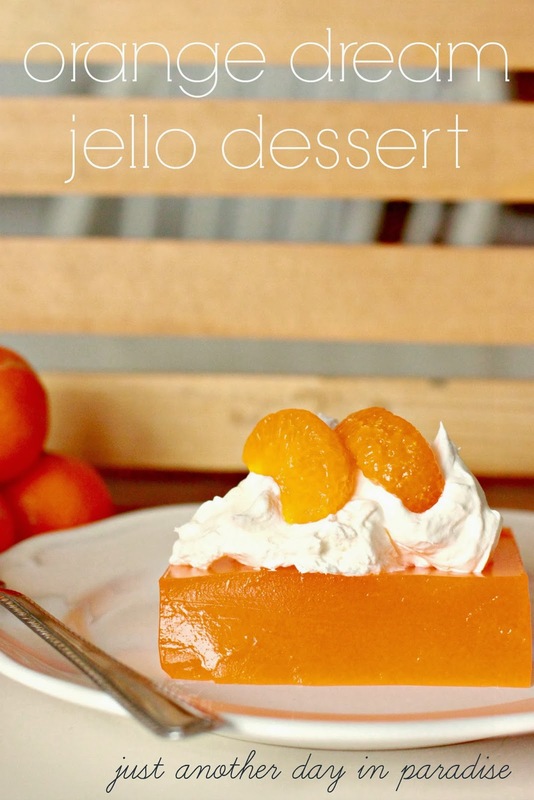 Again, hence the name Orange Dream Jello Dessert. This is a really easy dessert, or side dish if you want, to make. The hardest part is being patient while the Jello sets up. You know what I am talking about. Oh the waiting! Oh the telling the children every 5 minutes they still have to wait. Oh the sacrifice we make for Jello. I know, I know, I am being a tad over dramatic. So basically if you can get past the waiting, this dessert is simple and dreamy. Two of my favorite things. Combine the lemon Jello, sugar, and 4 cups water in a large saucepan. Being to warm the mixture on medium high heat. At the same time, begin to warm the remaining 3 cups of water in another sauce pan. Eventually you will need this water to be at a boil. Stir the lemon Jello constantly until it starts to boil and thicken to meringue consistency. Remove from heat. When the other water boils, remove from heat and add in the orange Jello. Stir until the Jello dissolves. Next add in the orange Jello to the lemon Jello mixture. Whisk everything together. Pour the Jello into a 9x13 baking dish. Refrigerate until set. At least 4 hours. I let mine set overnight. Once ready to serve, cut and dollop a bit of whipped topping over each serving. Garnish with individual slices of mandarin oranges.